National Night Out was introduced in 1984, by the National Association of Town Watch, a non-profit crime prevention organization. The first Night Out involved 400 communities, and last year’s event attracted more than eleven thousand communities. Most of us know about the “National Night Out” program. This program is focused towards law enforcement. 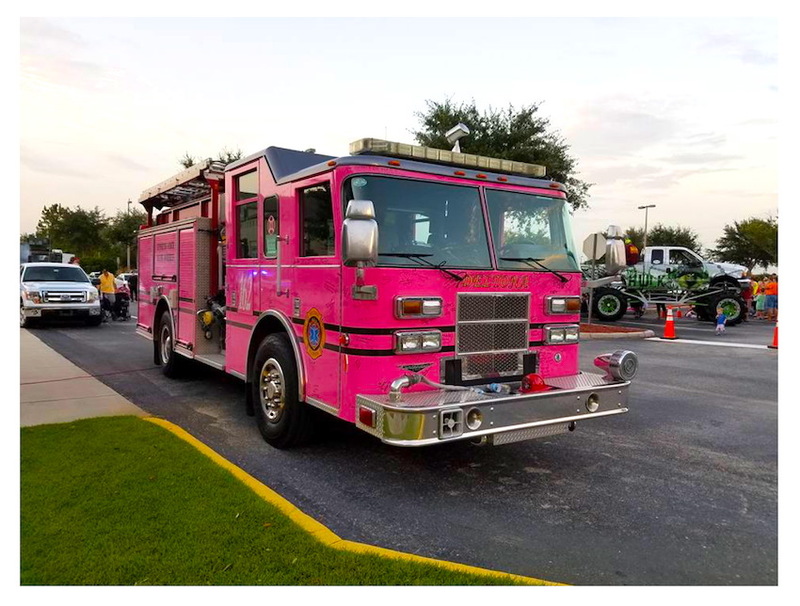 It was great to see the City of Deltona, Florida’s Fire Department fully engaged in this year’s event. Fire Fighters and Chief Bill Snyder were on hand to show kids a front line fire apparatus and various fire frightening equipment. 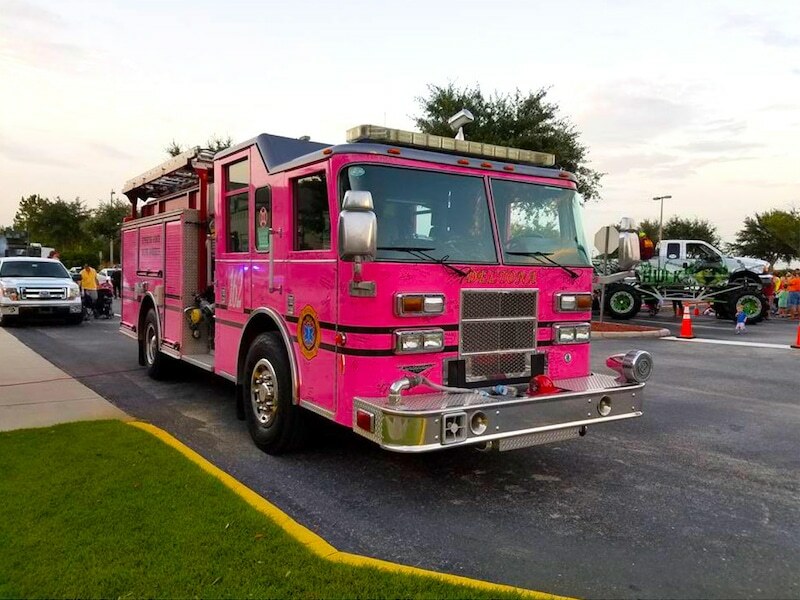 YES, the Pink Engine, Eng 82 is a front line unit. The engine was on display with 100’s of signatures of cancer patients from the community. This engine has become a symbol of hope. WELL DONE, Chief Snyder and Deltona Fire Department.